Welcome! I was inspired to start this website by friends who thought that creating their own medical marijuana m﻿edici﻿ne required magic and an unrealistic ﻿goal﻿ they could have for themselves. I am here to get them over that hump in their learning curve. Five years ago, I didn't know one thing about marijuana anything. I had only smoked it once back in about 1969, and certainly did not know about any healing properties. If I can do it, you can do it. I have been a cook for at least 50 of the 77 years I have lived. I know that if I can read; I ﻿can﻿ follow a recipe. I also know that I don't always need to follow a recipe allowing for creativity to flow from my mind into whatever I am making. I am infamous for never giving my friends and family the same thing more than once from my kitchen. 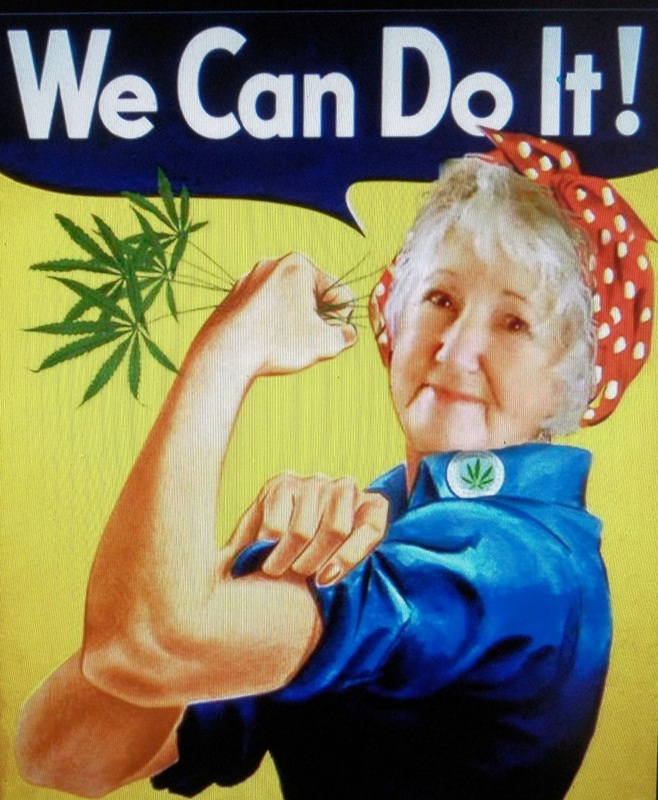 I began my journey of making medical marijuana medicine because of my need to be self sufficient in providing my 91 yr old mother the best possible pain relief. We live 9 miles from our local small town along with the direct possibility that we could be cut off from any ability to purchase drugs from any store. We have winter storms and a threat of a tsunami and a long-over-due earthquake. It was time to get serious about growing our own marijuana and producing our own medicines. I had tried long-term-care for mom with the horrible recognition that the facility drugged her as a means to obtain more money with her loosing more and more ability to care for herself. I brought her home, cleaned her up with the help of her doctor and started our adventure into the world of marijuana. We ended up using only 1 of the five mind-altering drugs she was formally on. My mother recently died at age 96. She had spent the last years of her life free from opiates. I am not the type who really wants to control or own anything. I hope that you will take anything you find of value from this website and call it your own. I do believe that credit should be given where it is appropriate. The point is that you can also be self sufficient ﻿and become the best able to create your medicine that works for your personal use. It’s an empowering, positive, and joyful experience to manage your pain at home, on your own terms, with gentle and effective herbs like cannabis. Don't hesitate to also share with those yo﻿u come across that need your help. It is about healing through being educated. Let's now meet up in my Kitchen at 4:20 for some fantastic ideas on how to get started by going to the recipes of this website. I will start with simple recipes that worked well for my mother's needs. See Medicinal cannabis becoming a mainstream dietary supplement. Educate the general public about the benefits of Medical Marijuana as another choice rather than, to using pharmaceuticals that can produce unpleasant side effects and are proven to be harmful to patients. Encourage those already self-medicating with marijuana to share and learn with like-minded individuals. Coming together to seek a lawful supply of professionally supported marijuana. Give choices to the patients. Meeting the needs of both patients and society through open and honest education. End the restrictive marijuana laws and misguided attitudes that prevent doctors from caring for their patient in the most appropriate manner. See marijuana as a tincture or topical cream, create pain-free, healthy contented lives for the elderly, as opposed to the alternative of daily routines full of toxic and harmful medicines, while in general hospice or assisted home care. This is me! Well, almost all of it is me.